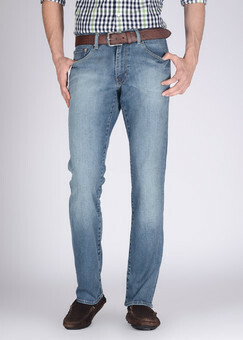 We are offering an interesting collection of Men Denim Jeans. The offered collection has gained extended appreciation from every nook & corner of the world for its mesmerizing design, impeccable finish, elegant look and stylish patterns. we are manufacturer and wholesalers of branded and non branded denim jeans and branded casual shirts for man in best qulaity ever by pasa jeans. we are manufacturer and wholesalers of branded and non branded denim jeans and branded casual shirts for man in best quality ever by pass jeans. By: Super Denim Jeans Manufacturing Co.